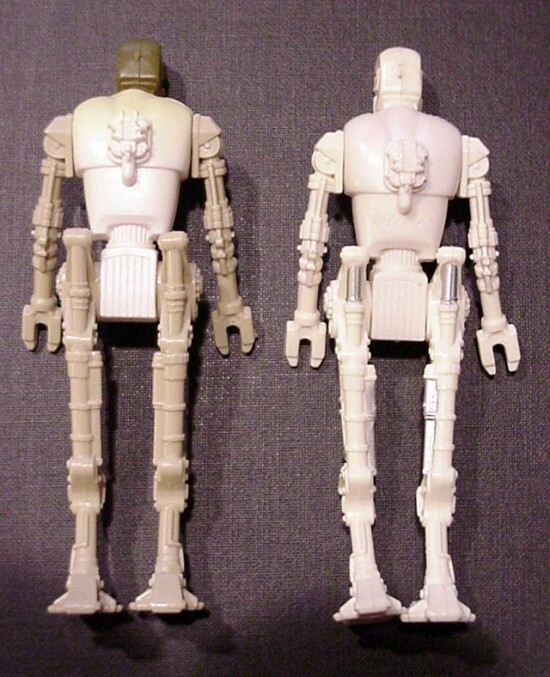 8d8 is one of only two 33/4" action figures to have been sculpted as "2-ups," or at twice their production scale. As you can tell from a look at a re-cast of the original 8d8 hardcopy, it's just about 8 inches tall. The figure subsequently was scaled down during the creation of production tooling. 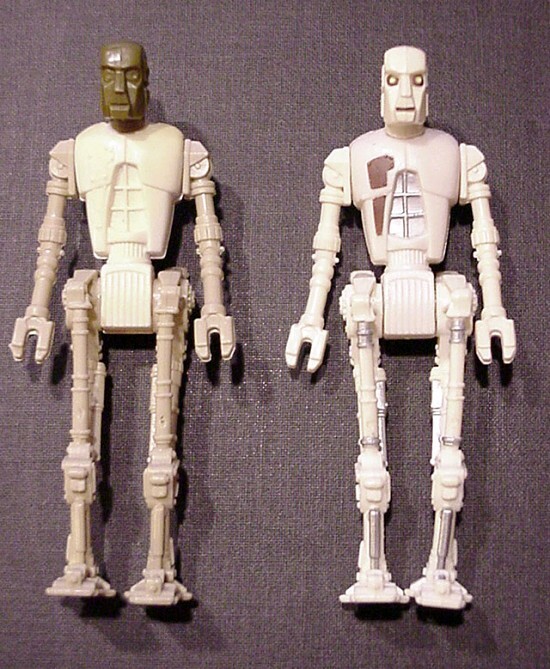 This first shot (which is pictured beside a standard production figure) represents an early test of that tooling. It's shot in a non-production combination of tan and brown plastics, and has neither holes in its feet nor the date/copyright information on its leg. Here's a look at the figure's back. It's nice to be able to show a standard 8d8 first shot in this gallery, as it compliments the 2-up hardcopy and internal first shot of the figure that can also be seen on the Archive.